It’s a trip to Mauritania. He collaborated with the Chinguetti Foundation through the creation of a mural called ‘Les enfants de Chinguetti’, which is exhibited in the ‘Hospital de la Fraternidad’ since its opening. The mural is dedicated to the children of Chinguetti, who collaborated with the artist in the last stage of its placing. 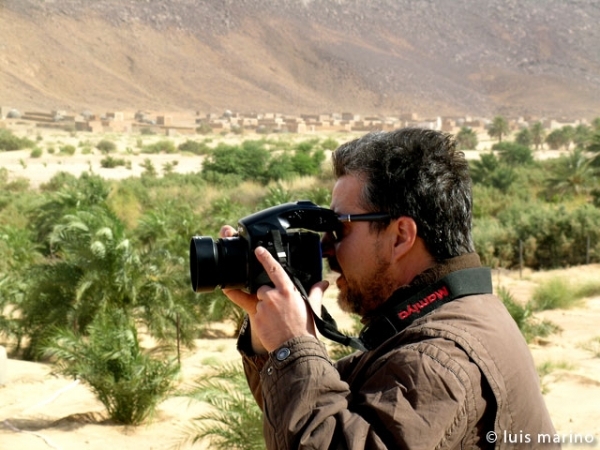 He filmed the documentary ‘Chinguetti, Corazón del desierto’ (Chinguetti, Heart of the desert) due to this trip.